YouTube is one of the most popular video sharing sites on the internet today. Although videos posted on the site may not have the best quality there’s no doubt in my mind that if you cannot find a video on YouTube, you’re unlikely to find it anywhere else. Until now, when you uploaded a video on YouTube, the only information you received was how many people watched your video, rated it, voted it as a favorite, and any comments people posted. Now, you can actually learn more about viewing statistics for your video. YouTube has launched a tool known as YouTube Insight. This free tool is embedded in YouTube and can be accessed by anyone who has ever used their YouTube account to upload a video to the site. The tool can be accessed by going to your account, then clicking on the ‘Videos, Favorites, and Playlists’ option under ‘My Account’. This opens up a list of your videos. To access the Insight tool, click the ‘About this video’ button on any video. 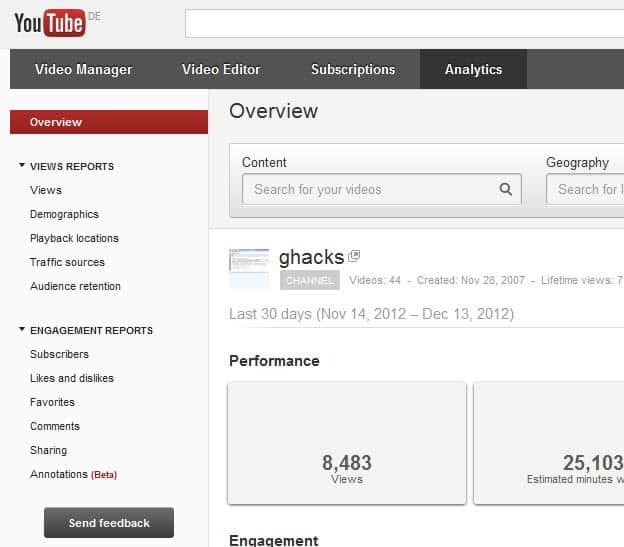 YouTube Insight gives you detailed statistics about the video chosen. For instance, you can see how popular your video is all over the world. You can also check up on the popularity of your videos and find out how long it takes for a video to become popular. How does this help? Well, for starters, you know more about your videos and who they appeal to. Some videos can throw up astonishing results. If you really want to target a particular audience, you can focus on making videos that will appeal to those people. This can be a huge benefit, especially if you are using YouTube videos for revenue purposes. 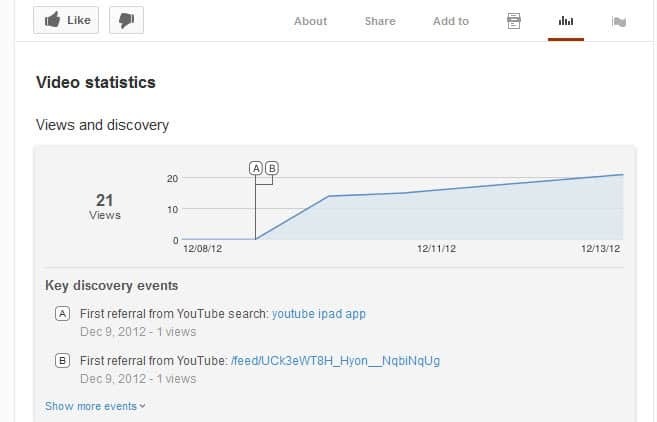 Have you used the YouTube Insight tool yet? What do you think of it? Are you happy with this tool? What else do you think YouTube can come up with to help its users?